Patriotism was abound today at Port Byron School as part of the Wreaths Across America program. The students did a wonderful job under the direction of Dr. Linda Townsend. fighting for our land's protection. We Forevermore will bear these deep scars. Gone, you've kept us free. Panthers you will forever be. Port Byron was the only high school in New York State to participate in the Wreaths Across America program this year. As historian, it was my pleasure to speak about our African American soldiers of the Civil War and their contributions to the Lockwood Post GAR #175 of Port Byron. As a member of the Mrs. Benjamin Harrison Tent #2 DUVCW, it was an honor to add to the patriotic instruction of the day. Owasco Chapter DAR sponsored a wreath which was placed at the Lockwood Post GAR monument at Mt. 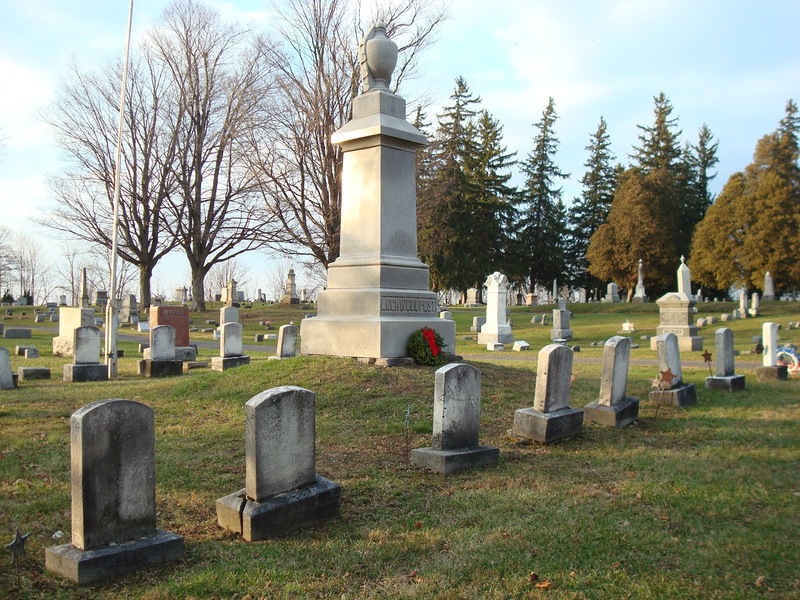 Pleasant Cemetery. 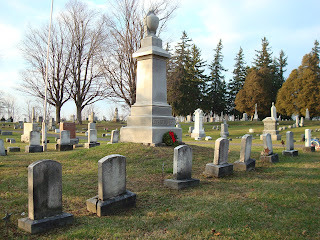 The monument is surrounded by soldiers of the civil war, including the grave of John Thomas of the USCT who is laid to eternal rest next to his fellow comrades without prejudice. I would like to thank my fellow DAR sisters for their participation. A fabulous color guard lined the entire length of the auditorium, many coming from the Rochester area. The program reminded us that freedom is not free. On behalf of the Port Byron community, we thank all of our service men and woman who serve to preserve our freedoms.